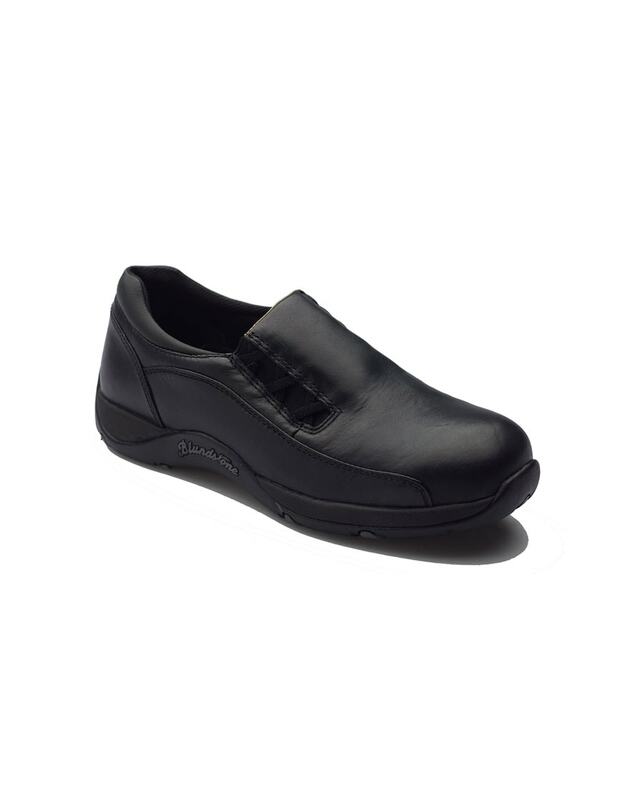 Women’s black leather slip on safety shoe with padded collar. Designed specifically for Women. Fully removable PU cushion footbed with PORON®XRD™ impact absorption pad for extra cushioning. Rubber outsole heat resistant to 140oC, resistant to hydrolysis and microbial attack, excellent slip resistance. EVA midsole with PORON®XRD™ heel impact absorption zone creates comfort with minimum weight. Electrical shock hazard resistant.